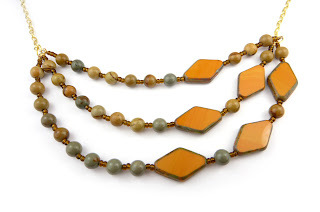 Maya's great jewelry is now in the shop! We welcome her great semi-precious stone and glass necklaces with bright colors. 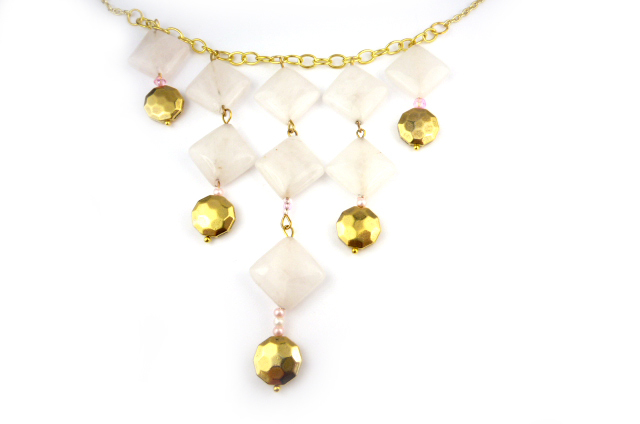 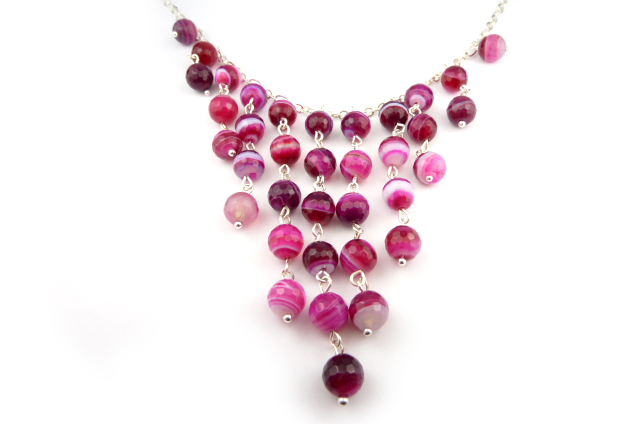 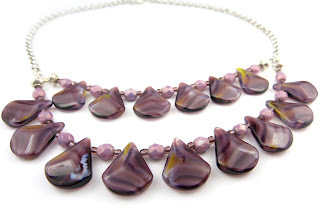 Fuchsia agate beads create a long dazzling necklace. 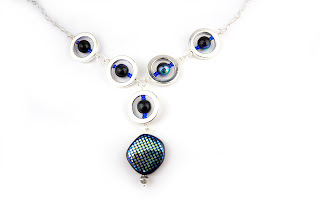 Or Czech glass beads form a beautiful bib necklace with a silver drop. 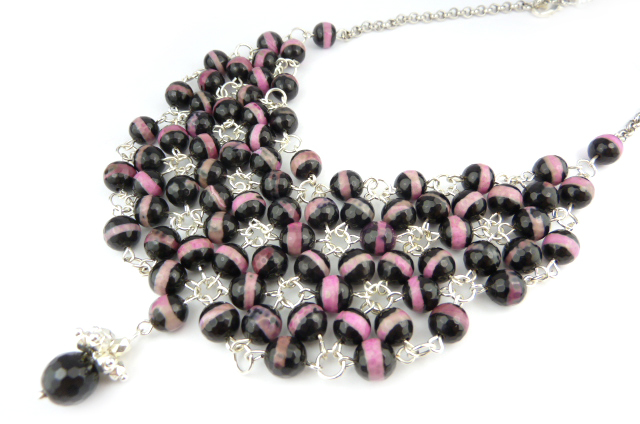 These well created necklaces add a lot of drama to an outfit and are a wonderful frontal or bib style that is so popular. 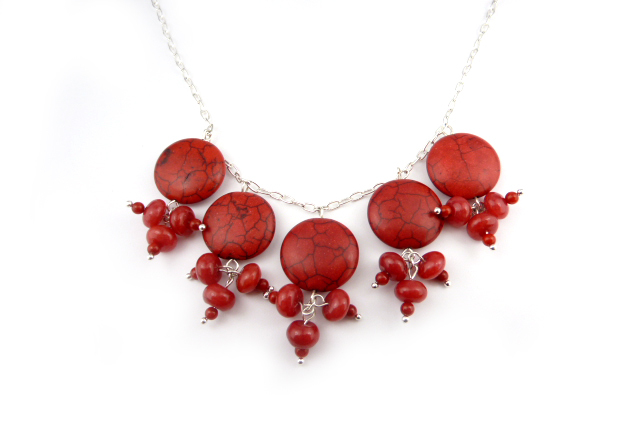 Come in to see them today!